Assisted suicide is legal in only four states currently, but several other jurisdictions are considering passing legislation to legalize the practice. If there is a saving grace, it is that no federal legislation to enshrine physician-assisted suicide in law is planned. Actually, two previous federal laws addressed assisted suicide, according to Richard Doerflinger, associate director of the U.S. bishops' Secretariat for Pro-Life Activities. A 1997 law called the Assisted Suicide Funding Restriction Act "keeps federal money out of all assisted suicide," Doerflinger said. When Oregon established its assisted suicide law, the state "had to create an entirely separate account with state funds," he added. The other law is the more recent Affordable Care Act, passed in 2010. "We have pro-life problems with the Affordable Care Act, but this is one of the victories," Doerflinger told Catholic News Service. There is a provision in it that prevents state or local governments receiving federal funds to implement the law from withholding funds from those individuals or institutions which refuse to participate in assisted suicide. The state on most people's radar screen on the issue is the nation's largest, California. 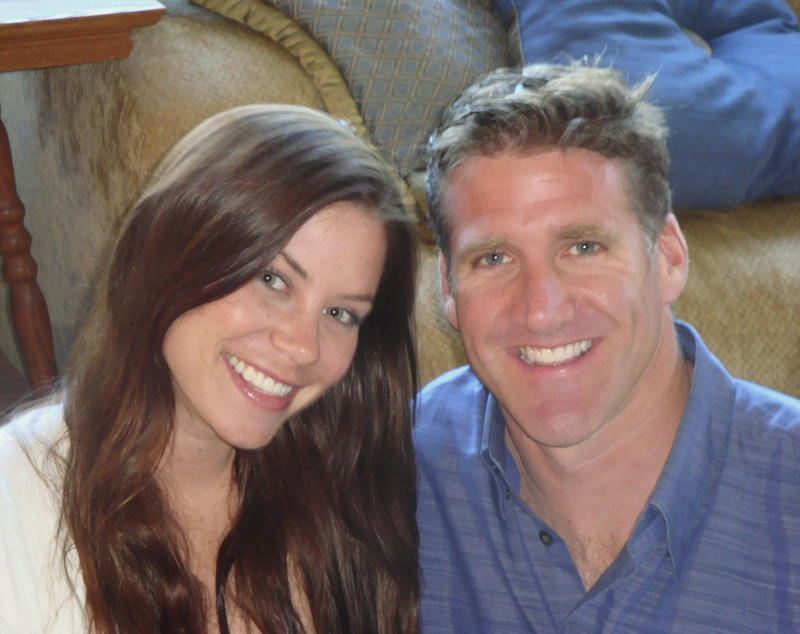 The Golden State was the home of Brittany Maynard, who moved to Oregon last year after she discovered she had terminal cancer. She intentionally chose a state where physician-assisted suicide was legal. The California bill resembles the Oregon law approved by voters there in 1994—and reaffirmed three years later—but has some significant differences. Oregon's Death With Dignity Act has a conscience clause that allows doctors to refuse to participate in assisted suicide, but California's does not, Doerflinger said. The Oregon law also has a clause that mandates referral for psychological counseling if either of the two doctors examining the dying patient suspects the patient is mentally ill or suffers from impaired judgment. About 3 percent of all Oregonians examined by doctors required such a referral. "Apparently, California thought 3 percent was too many because they've removed that requirement," Doerflinger said, as the bill only has doctors refer patients for psychological evaluation "as appropriate." "So I guess the 3 percent will go down to zero percent," he added. Stephen Napier, a consultant to the National Catholic Bioethics Center, said a similar phenomenon has taken place in the Netherlands, which began the whole movement toward assisted suicide. It was a common practice there long before it was legalized with certain conditions. But he cited a study that showed Dutch laws becoming "less and less strict. They used to be really strict before." Napier added, "You talk about the genie getting back in the bottle. ... Now, nonvoluntary euthanasia is permitted." In addition to the Netherlands, Belgium, Luxembourg, Switzerland and Colombia allow assisted suicide—and now Canada. On Feb. 6, the Supreme Court unanimously struck down the Criminal Code of Canada's ban on physician-assisted suicide for mentally competent but suffering and "irremediable" patients. The decision does away with most provisions in law prohibiting assisted suicide. In the United States, besides Oregon, Vermont and Washington state have legalized assisted suicide by referendum; in Montana a 2009 court ruling legalized it. Oregon's statute is the only one with a conscience clause for health care professionals. In New York, the Disability Rights Legal Center filed a suit Feb. 4 to give state residents the right to end their lives. A bill patterned after Oregon's also has been introduced. After Maynard died in November, backers of assisted suicide pledged to introduce bills legalizing the practice in 13 states. They might not have reached that goal—yet. In addition to New York, Maryland, Wyoming and Pennsylvania recently introduced assisted suicide bills in their states. The issue has already been debated in four New England states—Connecticut, Massachusetts, Maine and New Hampshire—according to Compassion & Choices, which backs assisted suicide. The state House in New Jersey passed an assisted suicide bill in January with the minimum 41 votes needed to send the bill to the state Senate. Gov. Chris Christie, a potential entrant in the 2016 Republic presidential nomination derby, has vowed to veto the bill. The District of Columbia Council also has had a bill introduced that would legalize assisted suicide. Councilwoman Mary Cheh is the sole sponsor of the bill, adding she had been hoping to introduce it jointly with another council colleague four years ago. But that colleague is now off the council, which is still two members shy of its full complement of 13 until a pair of special elections April 28. But Cheh said she was in no hurry to bring the bill to a vote. The district's ban comes under its homicide laws. North Carolina, Utah and Wyoming abolished a common-law prohibition on assisted suicide, according to an analysis conducted last year by the National Catholic Bioethics Center. In these instances, assisted suicide is not specifically criminalized. An Ohio Supreme Court ruling in 1996 decriminalized assisted suicide, but the National Catholic Bioethics Center pointed to an 1872 Ohio case that may indicate that assisted suicide is banned by common law. In New Mexico, a state court ruled in January 2014 that terminally ill, mentally competent patients have the right to get a doctor to end their lives. But that ruling has been put on hold pending an appeal. States where assisted suicide is banned by common law are Alabama, Massachusetts, Nevada and West Virginia. Massachusetts voters also rejected an assisted suicide referendum. All other states have laws prohibiting assisted suicide. Napier fears the slippery slope will visit the United States. "I'm inclined towards dystopia," he said. "I'm inclined toward thinking that, to the extent that there's no other philosophical idea that's preventing the idea of self-determination. There's no brake pedal on that idea in our culture." The news in late January that Cardinal Francis E. George of Chicago, Chicago's retired archbishop, has opted for palliative care now that his cancer is no longer responding to treatment reminded Doerflinger of Cardinal George's predecessor in Chicago, Joseph Bernardin. "I remember when the Supreme Court was bringing up the case of assisted suicide," Doerflinger said. "Cardinal Bernardin wrote a letter that he was battling his terminal illness. He made it very public. It was a public and compelling witness."